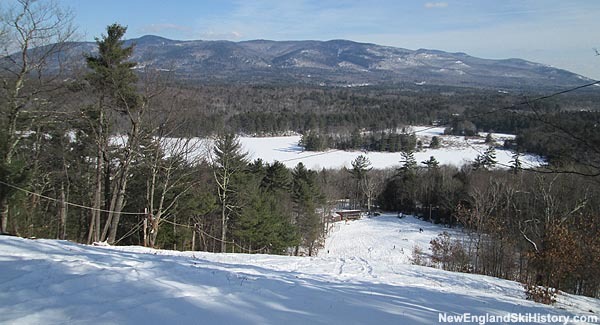 Located on the southeast side of Red Hill in Moultonborough, New Hampshire, the Red Hill Outing Club ski area has been serving locals for over half a century. Using a membership model, the ski area operates a rope tow when natural snowfall allows. Three areas are without lift service amidst plentiful natural snow due to mechanical issues.